This section contains knowledge and safe driving information that all commercial drivers should know. 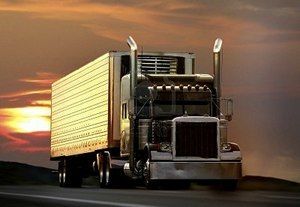 You must take an exam on this information to obtain a CDL. This section does NOT include specific information on air brakes, combination vehicles, doubles or passenger vehicles. You must read other sections of this manual to learn about them. This section also includes basic information on hazardous materials (HazMat) that all drivers should know. If you need a HazMat Endorsement, please study Section 9. The most important aspect of traffic safety for yourself and others who share the road with you is that you personally inspect your vehicle. A vehicle defect found during an inspection could save you problems later. You could have a breakdown on the road that will cost you time and money, or even worse, an accident caused by the defect. A pre-trip inspection will help you find problems that could cause an accident or breakdown. Conduct an after-trip inspection at the end of the trip, day or tour of duty on each vehicle you operate. This may include completing a vehicle condition report listing any problems you find. The inspection report helps the motor carrier know when the vehicle needs repairs. Regrooved, recapped or retreaded tires on the front wheels of a bus are prohibited. Bad wear. You need at least 4/32-inch tread depth in every major groove on front wheels (steer tires) and 2/32-inch depth on other tires. No fabric should show through the tread or sidewall. Shiny threads or rust around wheel nuts may mean the nuts are loose-check tightness. After a tire has been changed, stop a short while later and re-check tightness of nuts. Missing clamps, spacers, studs or lugs means danger. Mismatched, bent or cracked lock rings are dangerous. Shoes or pads with oil, grease or brake fluid on them (brake pad more than 1/4-inch thick). Shoes worn dangerously thin, missing or broken. Missing nuts, bolts, cotter keys or other parts. 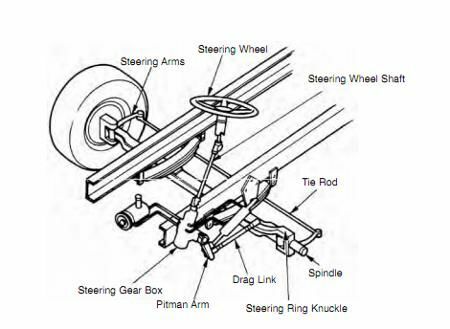 Bent, loose or broken parts, such as steering column, steering gear box or tie rods. If power steering equipped—check hoses, pumps and fluid level for leaks. Remember: A vehicle inspection must be performed daily by the driver of the vehicle. This is crucially important! You absolutely must memorize that the front tires (steer tires) need at least 4/32-inch tread depth in every major groove. All other tires (drive tires, trailer tires, etc) must have at least 2/32-inch tread depth in every major groove. This is almost guaranteed to show up on your written exam! Make sure you're familiar with the signs of loose lug nuts. Remember: 1/4-inch of material is the required thickness for brake pads. This may come up on your written exam and will definitely come up on the pre-trip exam. You may be asked about steering wheel play on the written exam and you will need to know it for the pre-trip exam as well. Memorize that 10 degrees (approximately 2 inches of movement on a 20-inch steering wheel) is the maximum amount of free play a steering wheel should have. What is the minimum amount of tire tread depth allowed on steer tires? You need at least 4/32-inch tread depth in every major groove on front wheels (steer tires) and 2/32-inch depth on other tires. No fabric should show through the tread or sidewall. It is extremely important to memorize legal tire tread depths. There is a very good chance this will show up on the exam and will need to be memorized for the pre-trip exam as well. What is the minimum amount of tread depth allowed for drive and trailer tires? You need at least 4/32-inch tread depth in every major groove on front wheels and 2/32-inch depth on other tires. No fabric should show through the tread or sidewall. You absolutely must memorize all legally allowed tread depths. This will probably show up on your written exam and will definitely need to be memorized for the pre-trip exam. Who is responsible for performing a daily vehicle inspection? Federal and state laws require that drivers inspect their vehicles. Federal and state inspectors also may inspect your vehicles. If they judge a vehicle to be unsafe, they will put it "out of service" until it is repaired. A daily vehicle inspection is crucially important. 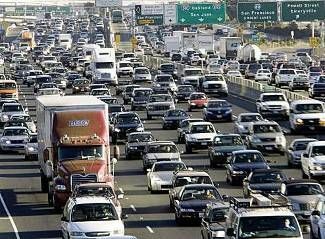 Many drivers will forgo an inspection if they are pressed for time, but this is extremely dangerous. You are not safe to drive until you've done an inspection of your vehicle. Why is it important to perform a daily vehicle inspection? What is the minimum amount of material required on brake shoes or pads? This needs to be memorized, not only for the written exam but also for the pre-trip exam. If power steering equipped-check hoses, pumps and fluid level for leaks. How much free play is allowed in the steering wheel of a commercial motor vehicle? Be sure to memorize that 10 degrees of free play is the maximum amount allowed. This may show up on your written exam and you will need to know it for the pre-trip exam.